City staff collaborated with Sutera Inc., to design a fully in-ground concrete container that holds dog waste for up to six weeks. Storing the waste below ground where it is cooler and out of direct sunlight reduces odour and means that the waste can be collected when the container is full. The waste will be emptied by a vacuum truck and taken to an organic waste plant where it will be safely converted into energy and fertilizer. How do I use the container? Place your dog’s bagged waste into the slot on the container. Do not place anything other than bagged dog waste into the container. The City’s contractor Sutera, Inc. will come by and empty the container frequently and transport the contents to its energy production facility. The dog waste will be transformed into renewable energy as electricity and fertilizer. 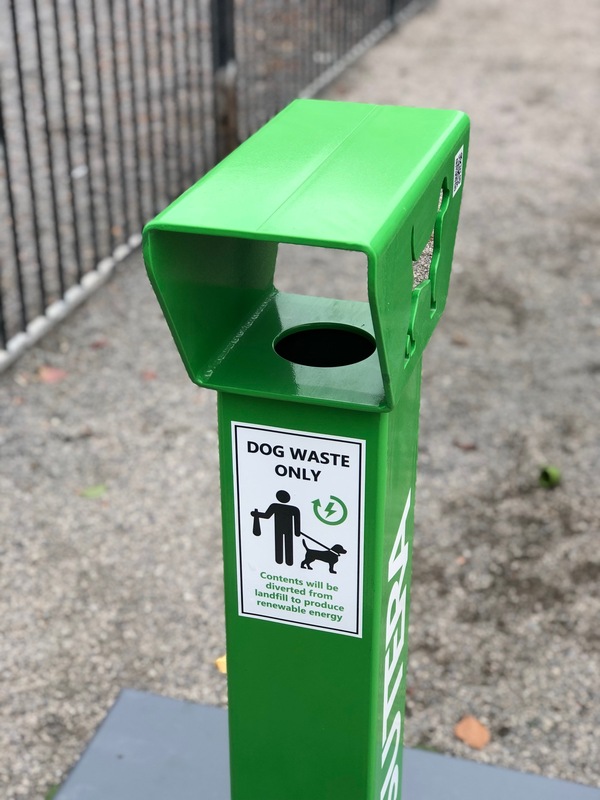 How much dog waste does the City expect to collect annually? Collect 60 metric tonnes of dog waste annually—that’s equal to the weight of 11 full grown elephants. Collect approximately 60 per cent of uncontaminated mixed-recyclable material—this will go towards the Region of Peel’s goal of 75 per cent waste diversion.